The Dri-Eaz Vortex axial fan is one of our axial flood drying fans that is designed for air ventilation, circulation, extraction, and for the drying of wet materials and structures with a concentrated airflow. When operating the Vortex, note the airflow arrow on the housing, indicating which way the air moves. 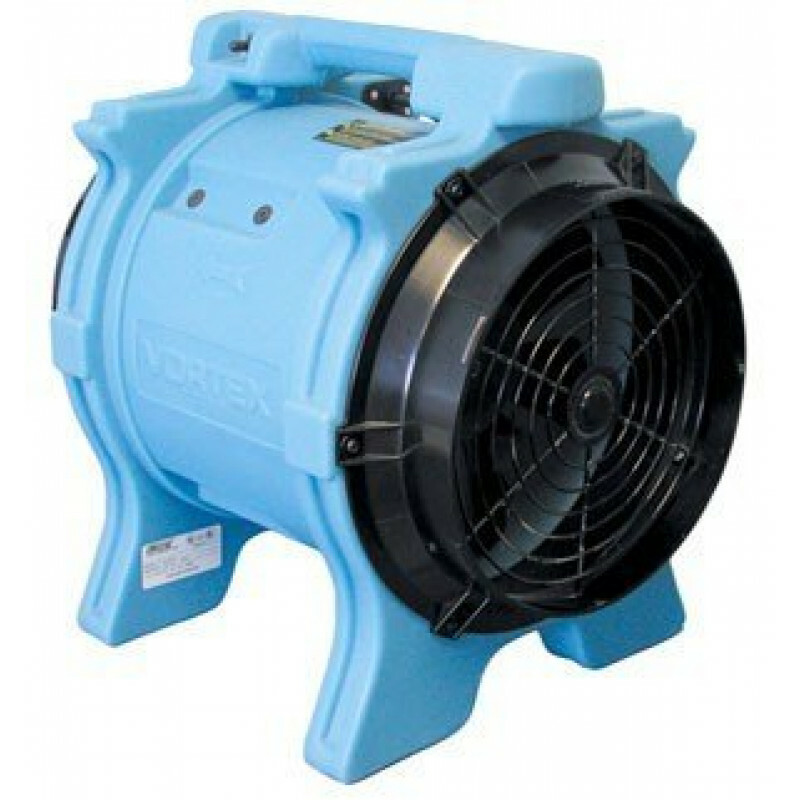 The Vortex can be used with or without attached ducting. It is useful for either positive or negative airflow, that is, blowing air into or extracting air from a structure. Inspect the inlet and outlet screens before plugging in the unit, and remove any debris that may restrict airflow. The Dri-Eaz Vortex axial fan is best used in confined spaces, with the 25 feet of ducting that is sold separately. We recommend positioning the Vortex at least five feet away from the entry to your confined space. Place it upwind so that purged gases do not reenter the confined space. Make sure the the inlet is not blocked by a wall or other obstruction. Place the other end of the ducting in the confined space, angled so it points at an end wall. Keep it pointed at an end wall to prevent pockets of unmoving air, and to keep fresh air circulating to all locations. Powerful 1.0 horsepower motor provides plenty of air to all areas of your structure that need drying. Built-in handle allows for easy transport from job to job. 25 feet of ducting available for extended area drying. Stackable unit allows for easy storage and transport. Permanently lubricated motor bearings, do not require any maintenance, ever. Large fan impeller maximizes air flow with great efficiency. 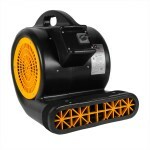 This is a review for the Dri-Eaz® Vortex Axial Fan.